Washington, April 5: The Democrat-controlled House of Representatives will join a growing list of organisations mounting legal challenges to US President Donald Trump's national emergency declaration on the border with Mexico, Speaker Nancy Pelosi has said. The lawsuit was approved on Thursday with a 3-2 vote along party lines by the House Bipartisan Legal Advisory Group, CNN reported. The group comprises top three House Democrats and the top two House Republicans. Donald Trump Says '100 Per Cent' Ready to Shut Down US-Mexico Border. "The President's sham emergency declaration and unlawful transfers of funds have undermined our democracy, contravening the vote of the bipartisan Congress, the will of the American people and the letter of the Constitution," Pelosi said in a statement. "Congress must reassert its exclusive responsibilities reserved by the text of the Constitution and protect our system of checks and balances." The lawsuit, which has not been filed yet, will argue that Trump's decision to transfer funds from appropriated accounts to a southern border wall violates the Appropriations Clause of the Constitution. The clause gives Congress power over the designation of federal spending. This is the chamber's second attempt to halt the use of federal dollars on the wall following the declaration in February that came after a 35-day government shutdown over border security that ended with the allocation of $1.375 billion for a wall, reports CNN. The move allows Trump to redirect more than an additional $6 billion for the project in order to address what he called a "national security crisis" at the southern border. 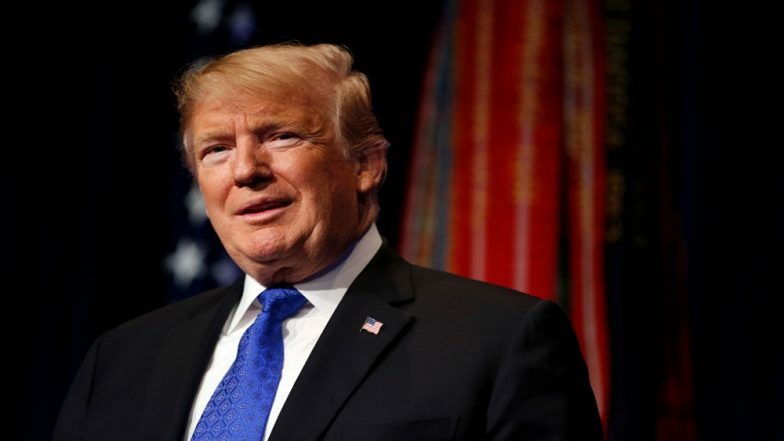 Following Trump's declaration, the House and Senate passed resolutions to overturn the national emergency, arguing that the President had unconstitutionally bypassed Congress. The measure failed when the House did not have sufficient votes to override the President's veto, last month. The administration is also facing seven other legal challenges to the declaration from states, environmental groups and non-profit organisations.